rohit – startups, venture, silicon valley. When I leave this valley – and i will – at some point perhaps a decade away at this point, what will i remember? i will remember frantic discussions with the simplicity afforded by binary opposition. most discussions of consequence are multi-polar; attracting and repelling but never really annihilating the other point of view. we in the valley live somewhere between foundations and frontiers most days here but frequently confuse one for the other. i will also remember the way this valley feeds on its young. there is a Higgs field of sorts at work here that gives ideas mass. not really replicable nor understood, but felt most intimately by new arrivals here. in exchange, this ‘field’ is fueled by ideas and their makers in equal parts. like a binary pair of poles or binary stars that are gravitationally bound to each other. i will not remember code or exhortations of ‘learn to code’. i want not to remember the massively uneven playing field which everyone pretends is level and meritorious. each link a tensor though we reduce it fast to three or fewer dimensions and pretend other dimensions don’t exist or worse, don’t matter. i will forget as irrelevant the parasitic entities that grow fast here. people and practices that don’t seem to do anything but seem to be around and present in conversations. i will remember the confused distance between our reality and its representation in media. i will remember maps I made here by walking my streets, the constant westerly wind, and the wonderful fog that takes away this valley’s edges every day. i will remember its lack of visible rivers and streams. i will not remember water temples that have no ritual nor idols. i will not remember plants relocated here from everywhere. the brown of the hills is its native colour. i will remember the lack of birds and birdsong in the few remaining redwood groves. forests are quiet here – intimidating. i will remember my futile wait for thunderstorms in summer. i will not remember you, this valley of infinite ambition. i will not forget you, the founders. this morning i woke up with a warm lucid dream of a hot summer day spent on the lake at Elk Island National Park in my first summer in Canada. That, and the clear distinct smell of sumi ink drying. Random neuron firings I suppose. I feel much the same way about reading. Over the past couple of years as I read more on iPads/screens (or at least as much as I read on paper), I find myself favoring certain topics in one medium vs. another. As I thought about what I have read in the past few years, I find I prefer to read fiction, news, design on paper and quantitative, science, and non-fiction subjects on iPad. I cannot remember a time when I did not read a newspaper. Even in these fast emerging digital times, I have stuck to a physical newspaper subscription in addition to its digital form. There is something deeply engaging about paper, typography, and column layout that I scan rapidly, often reading weekend newspapers end to end. Growing up in India, I read the newspaper my grandfather edited, noticing with satisfaction the black ink smudges on my fingertips at the end. There were no digital alternatives at that time. I read my first screens in late teen years at engineering school. I have a feel for words on screen as well – it is different though – from words on paper. And that difference I feel seems to stretch to subjects I prefer in each medium. I am certain I enjoy fiction more in pages made of paper and the weight of typefaces, serifs or the way certain numbers look, especially angular ones, always stays with me. So does the feel of paper itself and the edges and binding and the cover. News is now mostly consumed on a digital screen although the analysis that follows is preferred on paper. Much as intelligent news recommendations engines try, serendipity seems to work better and I scan faster within a newspaper. The legos article I mention at the start was one such discovery – delightful. The sensory sum that is the end of the newspaper on a weekend is something I miss on the iPad. There is no end, always another story to be googled, another site to be browsed. And that dilutes the concentration I exercise with newspapers. Browsing breaking news, reading some kinds of non-fiction, and quick reading engineering papers is something I find natural to do on screens. Of course there are experiences unique to this medium – like the live newsroom that is Twitter, email, all of the web, Kindle. I wonder if I cannot and perhaps will never develop a feeling for reading everything on a screen. Reading printed words, the weight of paper, edges of letters, relative angles of numbers, left-justified togetherness of text,… all combine in a form that eases in to a feeling. On a screen, the smudges are on the screen, not on my fingertips. 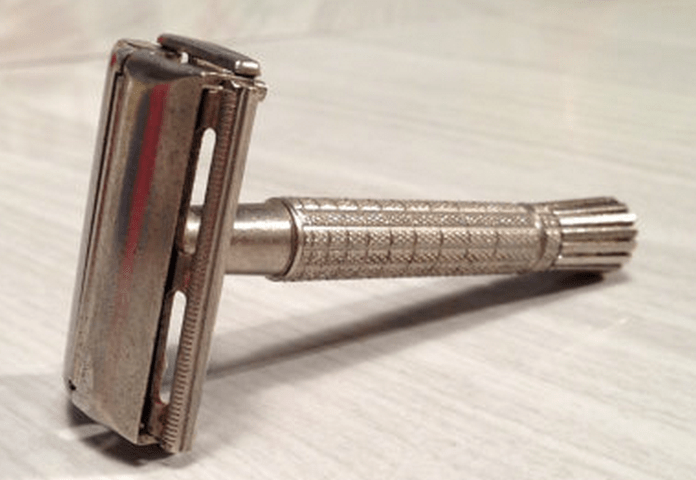 In India I grew up watching my father shave with his trusty Gillette safety razor (Adjustable Super Speedcirca 1962) and real blades. He used a real brush for lather and a solid soapstick. We got to use the ‘used’ blades (Wilkinsons were the best) for sharpening pencils at school. When I reached shaving age, I stubbornly resisted shaving off the first growth for a couple of years, finally giving in when I was in engineering school. The choices for shaving tools had changed by then and the new Gillette multi-blade razors with disposable blades were in vogue. 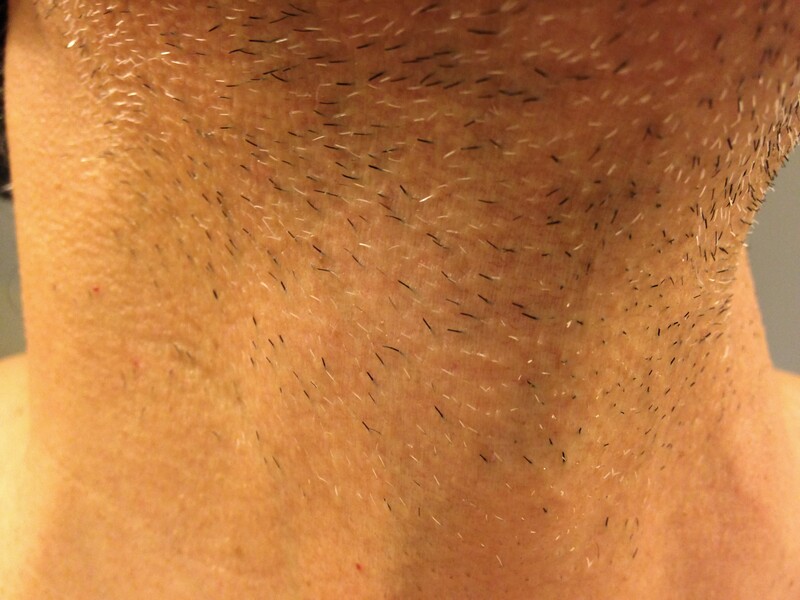 Over the next few years I realized the various swirls under my chin and the way my hair grew required multiple passes to get a close, smooth shave. And even with a brand new blade, I had red patches if I tried to shave close. Staying with the grain (fatherly advice since my first shave) meant I could still see and feel hair sticking out and even with multiple passes I irritated the skin. Over grad school and then with startup life, I never had to shave daily and it sort of worked. I would let the stubble grow for a few days and was lucky never to shave more than once or twice a week for many many years. 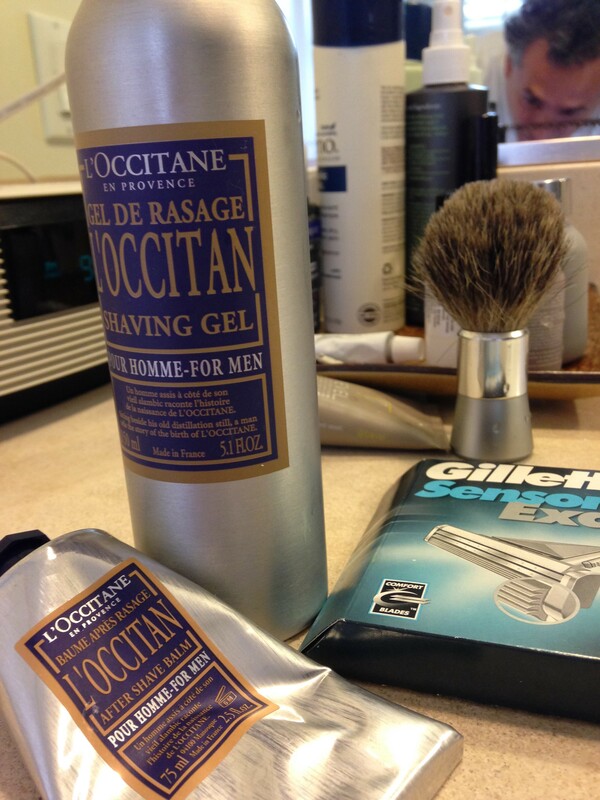 My shaving regimen, meanwhile, had improved and like all things I care about, I searched as much as I could for various products to make the experience better. Pre-shave oils, pricey Kiehl’s shaving cream, l’Occitane after-shave balms seem to help but there was no real or practical substitute for the razor. 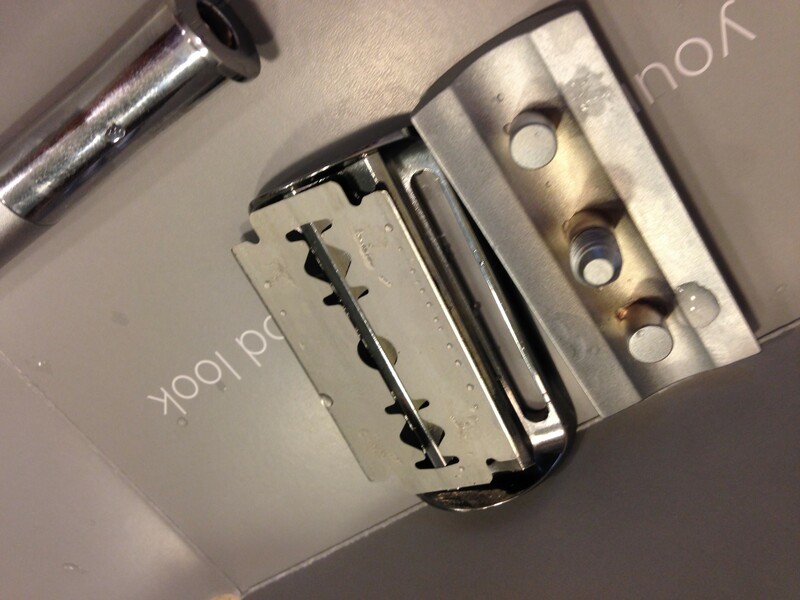 Over the past decade+, Gillette’s ever increasing blade-number madness of a razor ‘system’ only made things worse. I tried all the new ones they released – Mach, three blade, Turbo, Fusion,… and then in an ultimate insult to the shaving man – a ridonkulous five blade system. 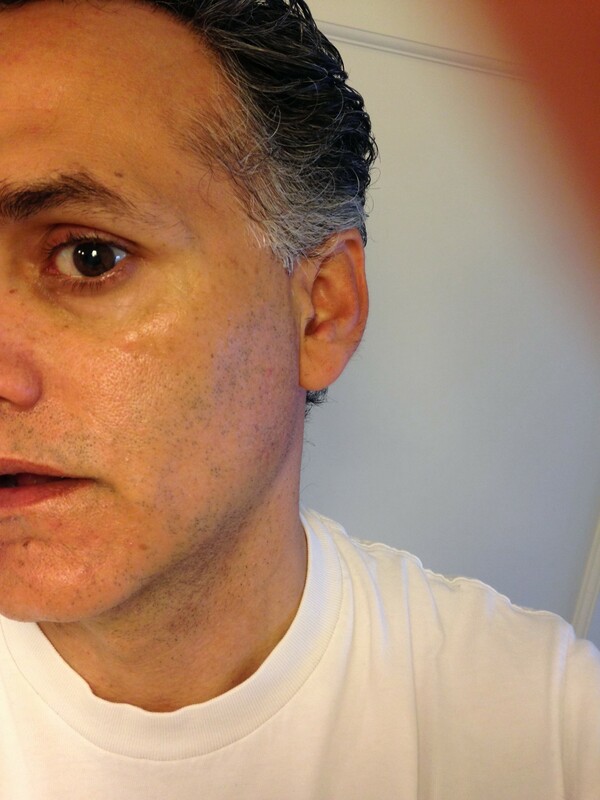 I tried all but the five-bladed madness… none gave me a closer/better/smoother shave. Dear @Gillette, I do NOT want your $#%^$#^@ 5 blade battery powered razors + Bad move pulling 2blds out of #costco. you lose a customer. ..and not finding any comprehensible answer from Gillette, started buying sensor excel (2 blade) refills in India on every visit. 50 at a time twice a year and a spare razor too since those are not sold here anymore either. So when I heard Tristan Walker was launching Bevel, I was excited to experiment and thrilled that someone was thinking about customers and their needs differently. My only worry, frankly, was: ‘Am I brown enough to use bevel?’. 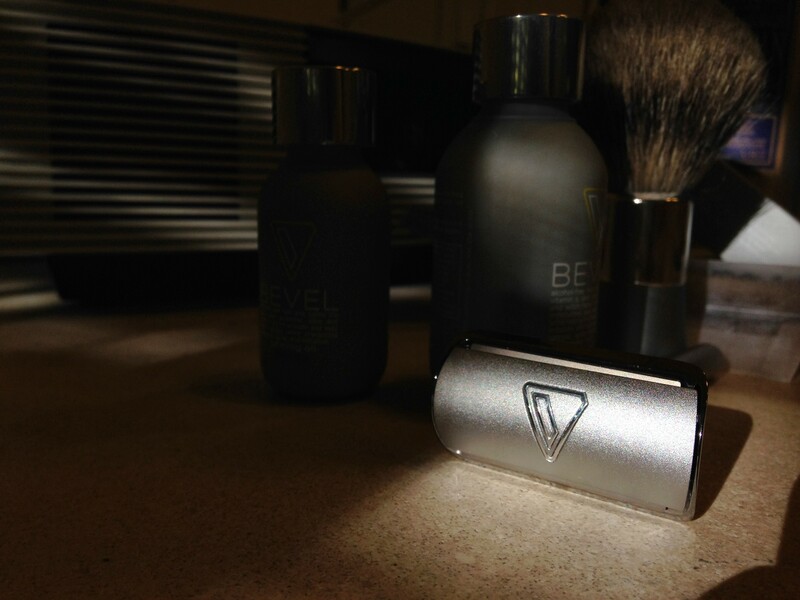 Bevel was potentially exciting in two ways – a simple rethink of an everyday problem for men Gillettes of the world don’t care about, and a founder whose passion for finding solutions to tough problems was clear the very first time we met (Thanks Semil). The Bevel package arrived on Wednesday and I didn’t shave till this morning (Friday) so I could throw a challenging stubble Bevel’s way. The experience began with opening the box. 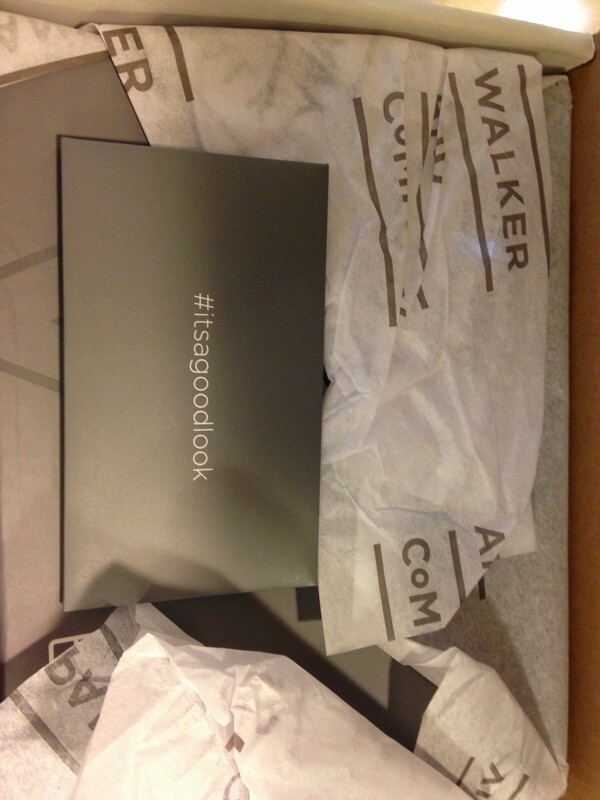 The first thing I was drawn to was the simple message ‘#itsagoodlook’ – reassuring! The bevelled sturdy cardboard box is very well thought out packaging. In experiencing a new product, I expect every aspect of the product and its packaging to signify the commitment to quality and careful thought. Bevel’s packaging feels Apple-class. Now, on to the goodies. The kit is complete with priming oil, brush (soak it extra long before first use), and shaving cream + after shave balm and of course the razor and blades. 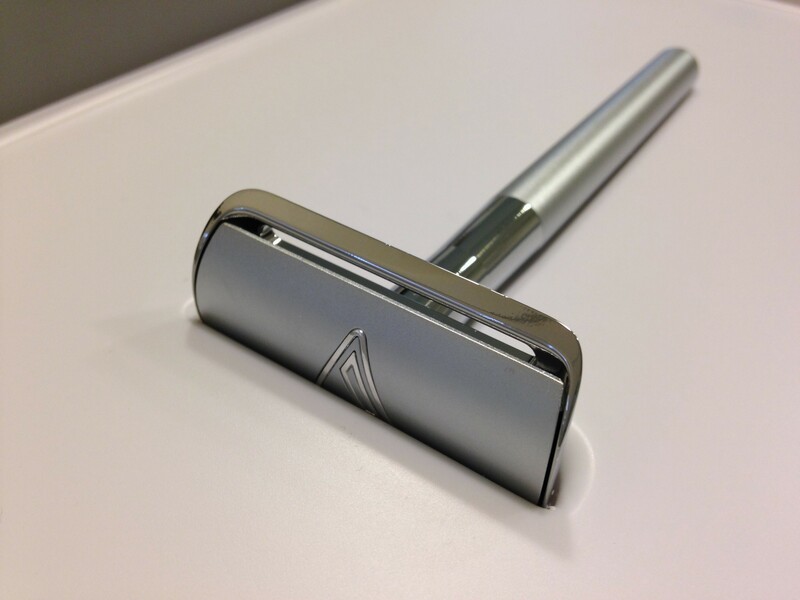 The razor body is simple, unadorned, and just the right amount of weight/heft to hold against the skin without jitter. 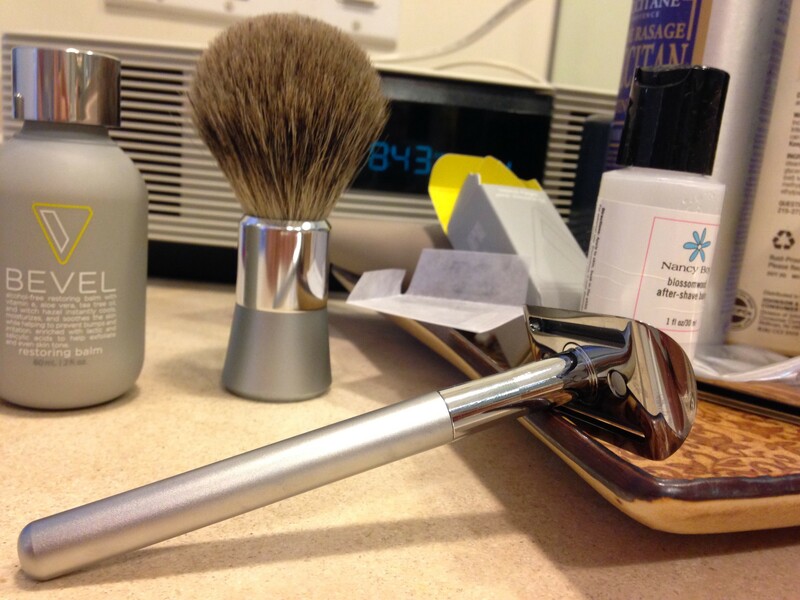 After priming with Bevel oil, I wet the brush and worked up a lather – effortless. The cream felt good and rich – and it took me a while to remember the almost forgotten art of brush whirls to get lather on to skin while working up more. Muscle memory and mimetic memory helped. I opened the razor, took out a blade and put it in. Fumbling a bit because I expected only the top to swivel open. 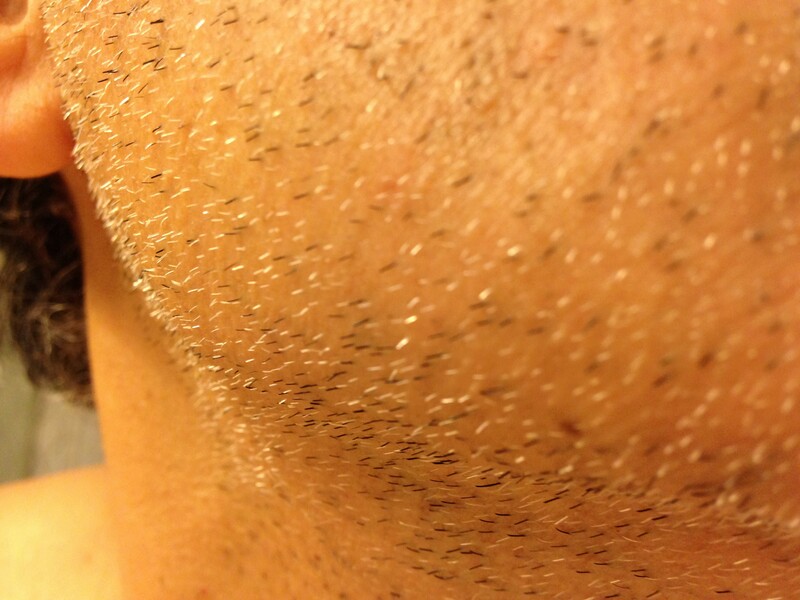 The shave was uneventful – ftw! Since it was the first time, I only did a single pass everywhere. The curve of the bezel plus the weight works well to go the whole stroke without altering pressure. The increased width versus Gillette means that the curve right under the jowls (my hair grows straight back towards my neck like windswept Cypresses in that region) requires special care. I am still thinking about how to navigate that next time. But the chin area worked wonderfully. Thats where I seem to have the highest density of hair and the razor edge curved nicely with the grain downwards. Not seeing any holes for water drainage I was a bit nervous about hair getting trapped between the blade-edge and the bevel case but a quick examine afterwards proved otherwise. My engineering self thinks a couple of drainage holes for water may make rinsing it during shave a bit faster. Note the blade edges after the first shave – no tiny blunt dings – quality! Unassembled after shave and rinse to examine for hair trapped inside. None! Accustomed to frequent razor burns, I usually rinse first with warm water (often with warm water soaked towel to soothe the irritated skin) but this time a quick warm splash to remove soap, then cold to ‘close the pores’ (delighted to see this little gem in the Bevel shaving guide – i’ve used that forever – father’s advice at 18) and after shave balm. I examined the skin everywhere and ran my fingers up and down – exactly as expected and w i t h o u t any razor burn or redness or nicks ! Yes! it felt good. No, felt great because the smooth skin was without irritation for the first time in ages after a close shave. I think Walker and Co. with Bevel met every expectation I had from the kit. I don’t yield counter space at my sink lightly but I think Bevel is going to live here happily for a long time. Well done Team Bevel ! 1. I understand that the metal edge of the case prevents the blade-edge from dings or dulling if I simply rest it on the counter (see pics below) or at the edge of my mantray. But it seems disrespectful to a serious ‘tool’ to be left lying there. I’d happily pay a bit extra for a contour-fitting simple case to hold the razor. Maybe it can be a pop out rubberized cardboard pack that holds the razor in the initial packaging. 2. Think about adding a notch or band with knurling right where smooth/matt finishes meet. When I am shaving, a notch/dip/knurled pattern will let me locate the angle better by feel (my forefinger will be at that notch/dip). This way I will feel a bit more confident that I am holding the razor right (in the rotational sense) as well as give me fine motor control at (fore)fingertip. Update: 2:30pm Tristan msg’ed me to say a handwritten card should have accompanied the package. It is included in every one of the first shipment. 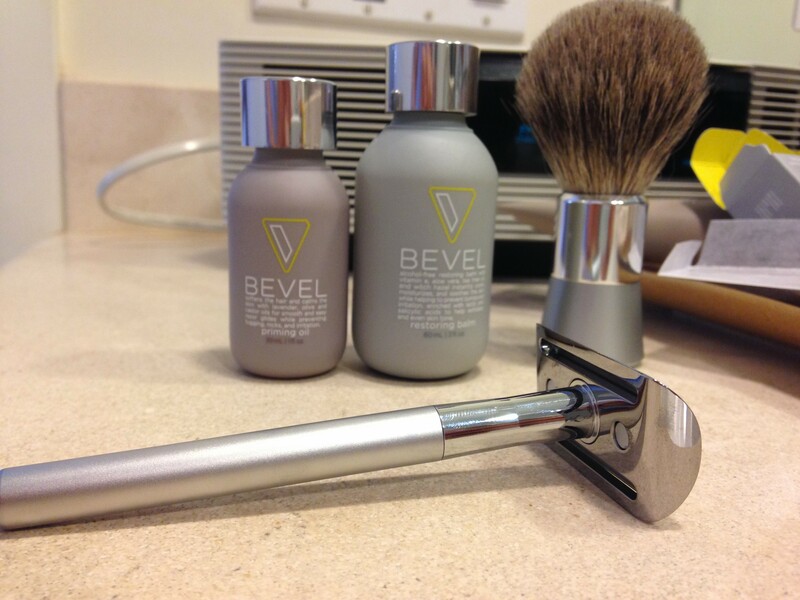 Overall, a great experience and I am happy to move out some big, established brands from my morning routine to bevel up! 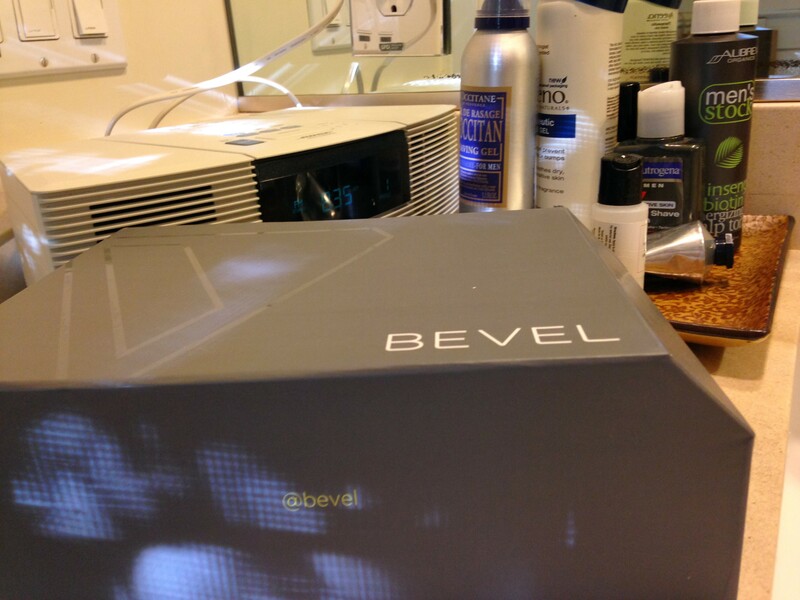 Author rohitPosted on February 21, 2014 February 21, 2014 Categories StartupsLeave a comment on Bevel up! A man and his shave. Thank you founders – for being the only human part of this very silicon valley. Thank you Palo Alto – for balancing out bespoke SF hipsterdom with your suburban ambitions. Thank you Bitcoin – whether you go to 1 or 1000, for making us think different. Thank you iOS7 – for your blurs, typography, and monopolistic emotion. Thank you Android – for trying to get better each year. Thank you 101 – for carrying greed and dreams across our tech favela. Thank you VCs – for believing code and data can manipulate everything. Thank you twitter – for occasionally you let us glimpse other real worlds and when you do, it is magic. Thank you digital robber barons – for not even pretending to care about the rest of us techno-serfs. Thank you silicon valley – for one more bubble.